Is there some code I can use before dialing to force the call through my land line provider? My wife is not really convinced in this "internet" phone calling just yet, so I need to have a dial code, or some way to prefix the number so that the call goes through the POTS connection. The best thing for me right now is to ALWAYS send the call through the landline, and have a dialing code when I want to use the ooma service. That would make my life a lot easier with the spouse! Is there some way to get this enabled like this? I looked at the ooma box interface (support.ooma.com) but that doesn't have any dial string settings in it. 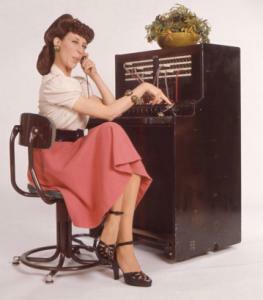 Right now we don't have a way to selectively choose calls to go through the landline. However, by default, all calls in your local calling area will go through your landline and NOT over the ooma network. Does anyone know if local calling area is defined strictly by area code or does the next 3 digits have any effect? And what happens if the landline isn't available ....does the call revert to an IP call??? I also think being able to force a call to the landline port is a very useful feature. Let's hope OOMA is listening. gr8perkins wrote: Let's hope OOMA is listening. Ooma just participated in this thread. See one post above you. gr8perkins wrote: Does anyone know if local calling area is defined strictly by area code or does the next 3 digits have any effect? And what happens if the landline isn't available ....does the call revert to an IP call??? I also think being able to force a call to the landline port is a very useful feature. Let's hope OOMA is listening. For you second question, if you have integrated your landline with ooma and the landline is not connected through the wall port of the ooma hub then your hub will go offline with the ooma tab flashing red and the play and fastforward buttons on the hub will be solid red. Some here have kept their landlines and don't have them integrated. They have separate phones connected to their landline and ooma and can then make calls on either. If you do that, you can still connect the landline to the wall port of the ooma hub and if your internet connection or power fails then the ooma hub will automatically fail over to the landline allowing you to make calls over the landline with phones connected to the hub.